At Chicago Jesuit Academy, we believe in the Jesuit ideal of cura personalis, or care for the whole person. 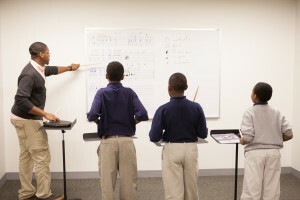 As a result, participation in co-curricular activities is an essential and mandatory part of a student’s education at CJA. 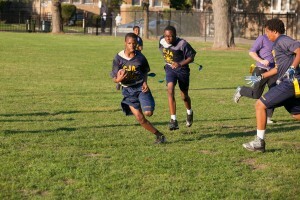 Co-curricular activities consist of various athletic and non-athletic opportunities. All students must actively participate in a sport at least one of our co-curricular seasons to meet their CJA physical education requirements. Most athletic teams practice four days a week and many compete against other schools on the weekend. Whether or not our students would like to pursue sports in high school or beyond, the required participation in athletics at CJA prepares students to succeed in team settings on the field and in the classroom. For more information on co-curricular activities at CJA, please contact our Dean of Programs, Terese Hagerty, at hagerty@cjacademy.org.